These are the first of many regionally based chefs, restaurateurs and entrepreneurs that The Food Hall Co. is partnering with for its newest location in Nashville. The Food Hall Co. is expanding its European-style food hall into Nashville’s booming culinary scene to provide a state-of-the-art dining and entertaining experience for its customers. Prince’s Hot Chicken, The Pharmacy Burger, The Donut + Dog and Von Elrod’s Beer Hall & Kitchen are only a first glimpse into the nearly 100,000 square-foot, multi-level food hall, which will bring together more than 20 local restaurant partners and cocktail bars, a full-service restaurant and an expansive rooftop event and music venue. 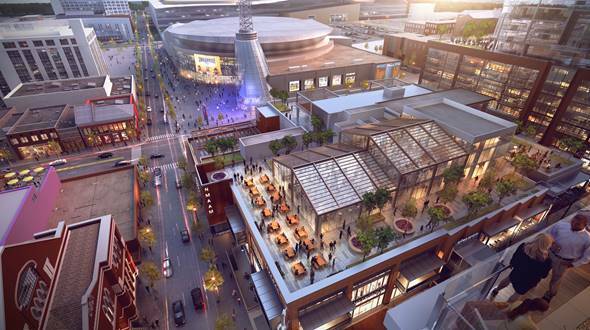 The mixed-use development, which will also house the National Museum of African American Music, is projected to open in Spring 2020 at the site of the former Nashville Convention Center.